Setting up and managing your home WiFi network can be challenging and if not actively managed, can leave your home network and all the devices on it, open to malicious attackers. There are now several WiFi networks available that can not only make security easy, but can help bring full strength WiFi to your entire house. One such product is Plume. 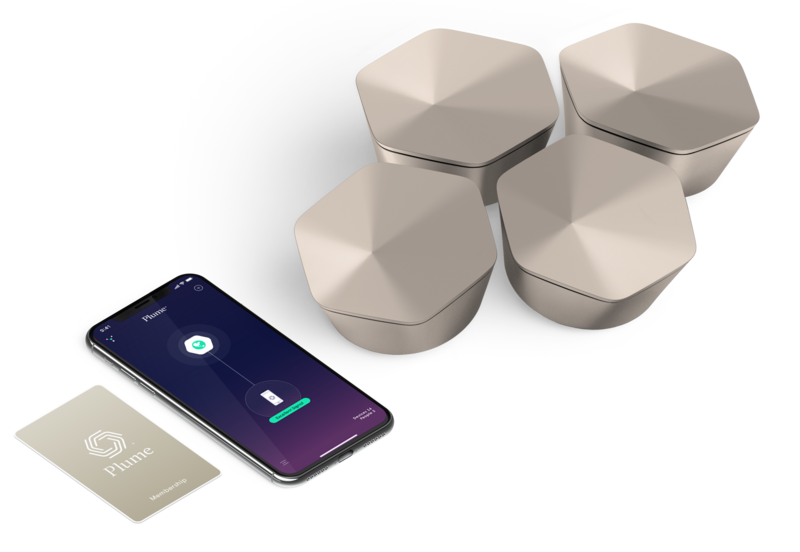 Plume is a set of WiFi adapters that create a mesh network throughout your home. You purchase a set of “pods” that you then plug into outlets at strategic points throughout your home to give you full coverage, even in those rooms that are furthest from your wifi router. To get Plume setup your go to plume.com and order a set of pods plus an annual or lifetime subscription. The subscription enrolls you in future updates to the system and is what makes Plume special. Other router and adaptive networks do not charge the annual fee but what you get when you buy those is usually what you get forever. Very few people take the time or have the skills necessary to update the firmware on their home routers. Plume does this for you and also includes excellent tech support. After purchasing your pods (the super-pods are recommended) you plug one of them into your home router or cable modem. You then use the Plume app on your phone to complete the setup. Normally setup is very easy and takes only a few minutes. I had a little more difficulty because I had customized my network, but after resetting the router from our provider I had no problem getting the Plume network up and running. After the initial Plume pod is connected to the internet and configured with the Plume mobile app, the other Plume pods are placed around the house and configured and named in the mobile app. It is very easy and the entire process normally takes less than 30 minutes. After setup the WiFi signal throughout our home was 100% in all rooms and our backyard. Streaming video content to all of our televisions is buffer-free and smooth. In addition to whole house Wifi, the Plume mobile app makes it easy to manage all of the devices on your home. Have a child who can’t stop playing Fort Nite? Plume makes it easy to set timelines on usage. You can block any device from the network with the touch of a button. Parental Controls – Going offline is sometimes a good habit! Schedule an Internet freeze, give a time out to a specific device or person and monitor their levels of Internet usage. If you have a home where the WiFi signal is not strong throughout or have network users who need to have their network time managed, you should look at Plume.